7-Eleven is considered as the world’s largest convenience store chain in the United States and outside U.S. and Canada. The company has more than 43,000 stores in 16countries mostly in the Asia Pacific and Nordic regions and Seven Eleven Japan as the largest licensee. Stores are ranging from 2,400 to 3,000 sq. ft. which sell about 2,500 items. 7-Eleven USA has headquarter in Dallas, Texas and its operating parent company, Seven & I Holdings Co. Ltd has a headquarter in Tokyo, Japan. The company was started in 1927 by John Jefferson Green, an employee of the Southland Ice Company. The current President and CEO is Mr. Joe DePinto. 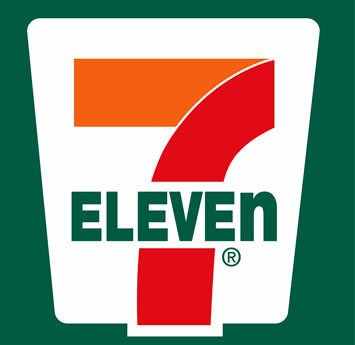 7-Eleven originated in 1927 when an employee of the Southland Ice Company, John Jefferson Green, started selling blocks of ice to refrigerate food and also started selling milk, eggs and bread. The manager of the ice plant, Joe Thompson Jr., discovered that they can offer items such as bread, egg and milk during Sundays and evenings where the grocery stores were closed. People do not need to travel long distances to grocery stores for basic items. This business idea satisfied customers and increased their sales and that was convenience stores were born. Thompson bought the Southland Ice Company and changed it into Southland Corporation. In 1946, the name of the stores changed to 7-Eleven to reflect their operation hours from 7am to 11pm. 7-Eleven opened its 100th store in 1952 and was incorporated as a Southland Corporation in 1961. They experimented with a 24 hour operation in Austin, Texas in 1962, due to customer demand. The 24 hour stores established as well in Fort Worth and Dallas, Texas and also in Las Vegas, Nevada. The company suffered bankruptcy during 1980’s and was rescued from bankruptcy by Japanese corporation Ito-Yokado, this is the company’s largest franchisee. In 1991, Ito-Yokado corporation gained the control of shares of 7-Eleven and formed Seven & I Holdings Co. and became 7-Eleven as its subsidiary. By 1999, the Southland Corporation changed its name to 7-Eleven, Inc. 7-Eleven own or operate several brands of food and other concepts such as Slurpee, introduced in 1967 a partially frozen drink and Big Gulp introduced in 1980 which packaged soft drinks in a large cup. 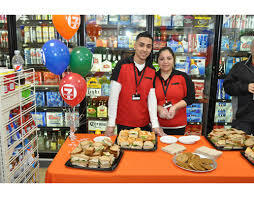 7-Eleven offers each customer a wide variety of prepared fresh and daily delivered of sandwiches, wraps, wide assortment of fruits, and other baked goodies. 7-Eleven Distribution System plays an important role in the business. The main objective of the center is to carefully track sales of each item and to provide short replenishment cycle to each store. The store manager should accurately forecast sales corresponding to each item. You will be responsible in creating and implementing a plan to develop new products, platforms and packaging for the business unit. You will be responsible for coordinating data elements for products in the assortment activities include: new item introduction, test items and communication/coordinating with vendor contacts. The company offers a competitive pay and a comprehensive benefit plan for all their hard-working employees. Some of the benefits are as follows: medical benefit of a full-time employee and eligible dependents, dental benefits, profit sharing or 401 (k) plan, life and accidental death and dismemberment, paid holidays/vacations, employee assistance program and other great benefits such as adoption assistance and domestic partner benefits.